It has been a long time, but Chocolate Friday is BACK!! 'Cause we need the chocolate, right??! I hope you survived without Chocolate Friday all this time - LOL! 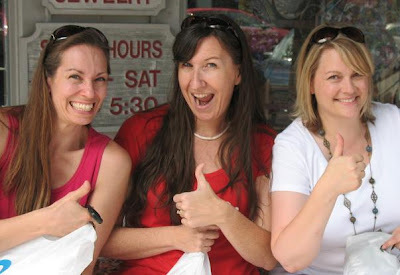 When I was in Florida hanging out with Kim from Homesteader's Heart, we did manage to have a bit of chocolate! One day we went out for a little shopping and I got to check out a neat little chocolate shop called Grimaldi Candies. 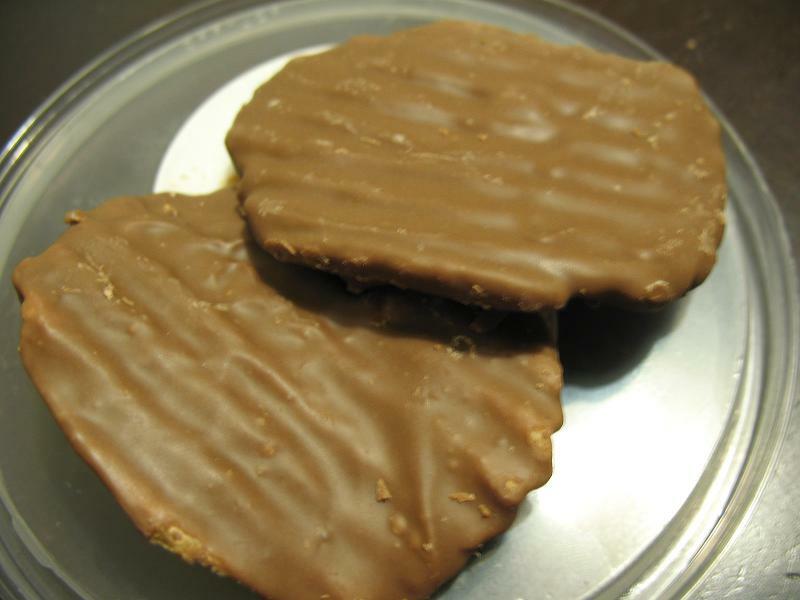 They are only in Florida and are famous for something that I had never tried - Chocolate Covered Potato Chips. Yes!!! I can tell you that the combination of sweet and salty is quite good! I did manage to bring home a container to share with my hubs and he agreed that they were yummy! They even have a website where you can order yourself a 1 lb box of Chips 'N Chocolate if you don't want to be left out of the fun! I think I can speak for Kim and Kathy and tell you that we think the chocolatey chips deserve a thumbs up - LOL! I will tell you (because Kim won't!) that her cake did not turn out perfect!! The frosting had a bit of an appearance issue (and I am kicking myself for not taking a pic of that), but was still absolutely fabulous! So now you know that Kim is NOT perfect. Somebody had to let you in on that secret. (Hey, I had to have some company in the imperfect club.) :) Hee,hee!! Love you Kim!!! You can go get her delicious recipe for Chocolate Cake With Peanut Butter Frosting and try it out yourself! 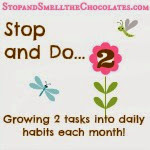 I've shared lots of chocolate with you - now it's your turn! 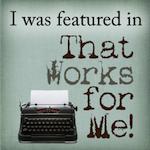 Write up a chocolatey post or find one in your archives (all rated G of course!) and bring it back here to link up to the thumbnail linky below. The more chocolate we get here, the better our weekend will be - LOL! No blog? 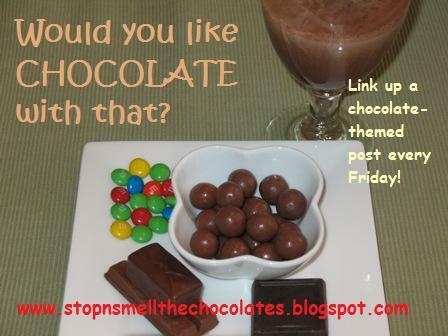 Leave your chocolatey thoughts or fave recipes or links in the comments. LOL! Aw man! I can't believe you let everyone know that I'm not perfect. Sheesh! I thought I had everyone fooled. HA! I'm so glad you didn't get a picture of that cake! OY! It's amazing what using the wrong peanut butter can do. Big I may have to redeem myself with another cake to drown my imperfect tears size hugs to you! Chocolate covered potato chips! Haha! At first my stomach turned at the thought, then I became quite curious to the point of considering making them. Hehe. :) contributed my Raw Coconut Creme Pie with Fudge Crust. Hope you enjoy! Thanks for all the chocolate thoughts!!! Sorry so late with my link up. I had a busy day! Yeah!! Chocolate Friday is back!!! Well...I never heard of chocolate covered potato chips! Sounds interesting at the least. 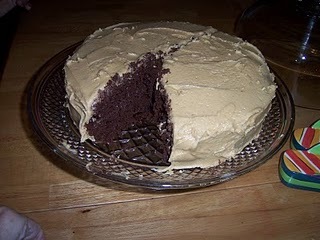 I've made Kim's chocolate cake with peanut butter icing and it is delicious! I am a tax preparer in a CPA firm and have trained a client to bring chocolate with his tax data. He often procrastinates on getting his info to our office and we banter back and forth about "chocolate" being on the required list of needed items for preparing his return. He brought millionaires yesterday!!!! Yummy! 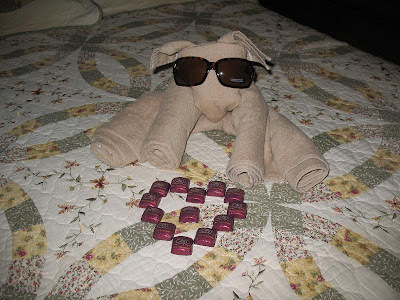 Chocolate AND visiting a friend? Sounds pretty darn good! And chocolate covered potato chips? I'm gonna have to try some of those! Looks and sounds like you had a fabulous time on your trip to Florida. Ok, that cake looks absolutely delicious. I LOVE peanut butter. LOVE LOVE LOVE It. I made a three layer chocolate cake last week and it was gone in two days. I made brownies yesterday and theyre gone today. Any wonder why I can't hang out over here for long? 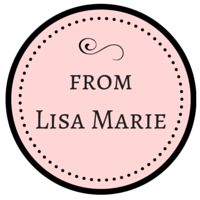 Love your blog Lisa. It's great.